This is the new 5-part U. S. Environmental Protection Agency Uniform Hazardous Waste Manifest "EPA Form 8700-22 (Rev. 12-17)". 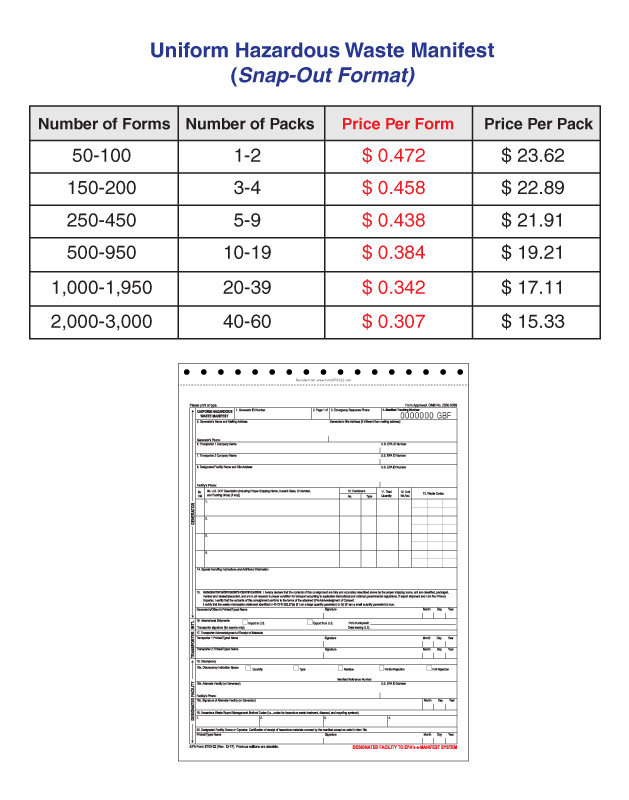 It is a 5-part form made with premium carbonless paper. This snap-out version of the form can be filled out with a typewriter or by hand. 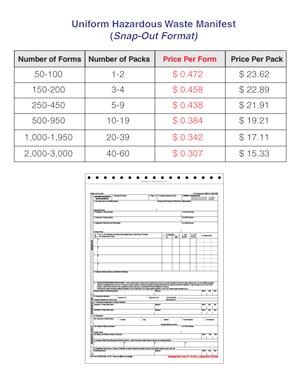 They are sold in packages of 50 forms.